It’s time to treat yourself when the holidays roll around, and what could be a better treat than not having to worry about your own Tulsa holiday lights displays. Spoil yourself with Green Leaf Lawn Service and our expertise when it comes to Tulsa Holiday Lights installation. We are one of the best residential holiday lights installers that can customize to fit your house. We are professionals whenever we deal with the installation process and we will handle the set up, removal of the lights, organization and storage is necessary. If you are new to the Tulsa area and have not purchased light category meet of lights, we have the perfect lights to fit your house on an individualized basis. To create the best residential Christmas lights we will work with you on your Christmas display and try and achieve your goals and exceed your expectations. It can include decorating your house, trees, bushes, shrubs, walkway, and driveway. We will strive to create a uniform visually appealing look for your entire Christmas and holiday light needs. Call us today at 918-640-6405 to learn more about how you can find the very best in Tulsa Holiday Lights. It is chock-full of all of the information you need to fill confident about selecting Green Leaf installation services whenever you need anything from Tulsa Holiday Lights all the way to lawncare in the summer. Jamie Nix and Josh Mathias started this company and they have devoted themselves to perfecting their craft and becoming an expert when it comes to servicing the people of Tulsa, Oklahoma. We look forward to gaining new customers trust and we want to speak with you over the phone today about all of the wide variety of services we offer. With years of experience under our belt, you can rest assured that our professional lawncare services will be for you throughout the year. 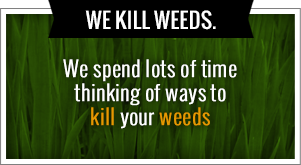 We do things like Moe, holiday lighting, landscaping, weed killing, and much much more. 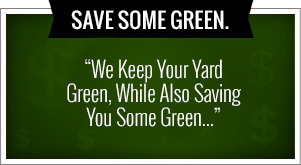 There is simply no other lawncare service that can bring you the rich, beautiful lawn you’ve always wanted. Our professionals are here to help you with any lawn project ideas you have and to transform your home into a winter wonderland. Green Leaf in Tulsa does it all from lawnmowing to weed control and fertilization. Check us out online today to learn more about our free estimates and how you can receive references about our work upon request. We love the children in this great city and we support them by setting up charity programs like “Cutting for the Kids”. This is something that we started which allows us to donate five dollars to the school district of our customers choice every time we start a new service in the Tulsa area. Have the peace of mind that goes along with shopping with the company that cares about your lawn and home on an individual basis, and they will also help give back to the community in a variety of ways. We provide turnkey Tulsa Holiday Lights decorating services to the most discriminating clients. We offer a variety of unique holiday decorating service options, each customized specifically to your property. Our trained team of professionals are focused on two things – providing a beautiful holiday display and making your holiday season as enjoyable and safe as possible. The framework on any breathtaking display begins with a detailed outline of your roof line. Enjoy this holiday season without climbing a ladder or weathering elements. We can also do window lighting that will be enjoyed by you and your guests from the outside and inside. Windows are great way to add elegance to a home as they display the holiday spirit. We provide well lit trees and shrubs and add spectacular twinkle to any landscape. This is also a great place to incorporate a splash of color are simply add pizzazz to you decorating your lawn. The holiday spirit comes alive when Christmas decor outlines walkways, beds, and driveways with beautiful ground lighting. This is a great option for rounding out the lower dimensions of the display and creating highlighted walkways for your holiday guest. Finish out your masterpiece by creating a warm, welcoming entry with beautiful daytime to court. Really greenery will bring elegance to life at night. No displays complete without a well-placed wreath or greenery on columns banisters or doorways. Our displays are created using the finest holiday decorating products in the world! We help you throughout the year no matter what your lawn care needs may be. In the early spring a pre-emergent is used to control crabgrass and other annual spring weeds; and a post-emergent for broadleaf weeds that may be up at any time; along with a shrug and a flower bed pre-emergent. In the spring we can add a second spring emergent to control Fox tells another summer annual weeds. Along with a well-balanced, sulfur coat fertilizer for quick green up. Spot treatment for a post-emergent to eliminate broadleaf and grassy weeds. In the early summer we do a sulfur coated, high nitrogen fertilizer application to promote stem growth, and spot treatment of a post-emergent to eliminate broadleaf and grassy weeds. A first emergent for weeds in the shrub and flowerbeds. Then we help you throughout the summer and fall to make sure that everything stays in order in your lawn looks more incredible than ever before. Jamie Nix and Josh Mathias started Green Leaf with the idea in mind that they can provide expert service to the people of Tulsa the need lawn care. They also wanted to help out the youth in our community and are doing so by creating programs like “Cutting for the Kids”. This is a program that donates five dollars to the school district of our customers choosing whenever we start a new service when it comes to lawn care.